The majority of 20th-century cancer research and medicine saw therapeutic strategies that were mainly directed at either eradicating tumor masses through surgery, killing them with radiation or targeting them with drugs to stop them from growing. This ‘cut, burn or poison’ outlook has had some success in about half of all cancer patients. The 50% efficacy rate, however impressive, suggests that oncologists have been missing important things as they learned more and more about cancer and how to treat it. This scenario, so far, may have had something to do with the heavy focus on how tumors grow and interact with the body, and not, essentially, the other way around. Therefore, oncologists could achieve the shrinking of a certain tumor, but they could not extinguish it or the original condition (e.g., the transformation of normal cells into cancer cells via the activation of specific genes) in the patient in whom cancer relapsed even after remission. In theory, the complete eradication of a cancerous cell type should be possible. This would be due to the action of the immune system, which is a large and complex network of immune cells, and the interactions between them. Ultimately, this process should result in the activation of a specific type of cell (e.g., a cytotoxic T lymphocyte (or T-killer cell)) to identify, attack and destroy a tumor. The fact that these cells often do nothing in the presence of such cancer could also be rectified through medical intervention. This was the essential basis for an alternative theory of cancer and its development. It was originally proposed by James Allison and Tasuku Honjo in the early 1990s. Their argument centered on the ability of tumors to upregulate cytotoxic T-lymphocyte antigen 4 (CTLA-4), which is found on another type of lymphocyte (a T regulatory cell). CTLA-4 sends a ‘message’ to T-killer cells that keep them quiescent, even in the presence of a malignant entity such as a tumor. 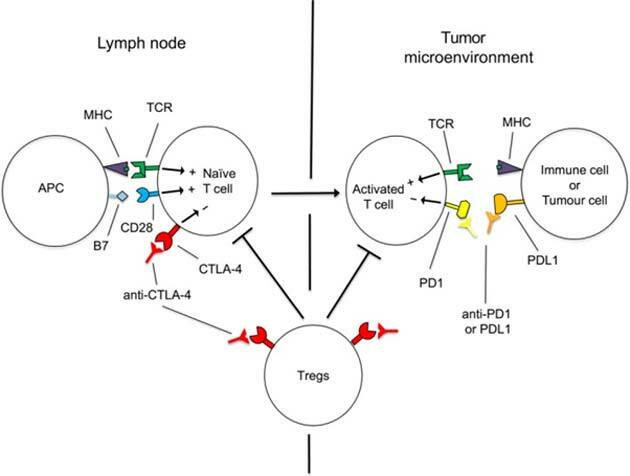 Therefore, Allison and Honjo asserted that the CTLA-4 blockade could result in significant increases in immune attacks on a given tumor, thus seriously impacting its ability to grow, invade other tissues or survive. The two researchers’ new theory was initially met with resistance and even derision from much of the rest of the oncologist community, who were still very invested in pure anti-tumor-growth theories and mechanisms. However, increasingly successful and conclusive experimental work, as well as support from important allies such as Dr. Lloyd Old, eventually resulted in FDA approval for the first anti-CTLA-4 therapeutic agent, ipilimumab, in 2011. But Allison and Honjo did not stop there. They found that cases in which patients were not likely to respond to these new therapies could be resolved by blocking other ‘pro-tumor’ receptors such as PD-1, a receptor that signals T-killer cells to die in a particular manner if they bind to it. Anti-PD-1 therapy has become strongly associated with successful treatment and remission in multiple cancers including melanomas and tumors of the kidney, lung, liver, bladder, head, and neck. However, this adaptability in anti-lymphocyte receptor therapy, which is also known as cancer immunotherapy or immune-boosting oncological therapy, may also be its downfall. The downfall could result because tumors have shown themselves to be remarkably versatile and flexible in finding physiological ‘workarounds’ that enable them to avoid or even negate the effects of a given therapy. This is why traditional chemotherapeutic agents may stop working in the course of a treatment regimen. Similarly, some researchers have concluded that tumors could respond to anti-CTLA-4 or anti-PD-1 (or PD-2, another programmed-death receptor for T-killers) by simply engaging another in a diverse and comprehensive array of receptors so that it can go on mimicking normal tissue in the ‘eyes’ of immune cells and survive. For example, melanoma tumors in humans have been observed to up-regulate the immune signaling molecule TNFα, which counteracts the effects of a PD-1 blockade. This can be addressed by adding a TNFα antagonist to anti-PD-1 therapy. However, the tumor could react via other mechanisms, such as using the T-cell immunoglobulin- and mucin domain-containing protein 3 (TIM-3) pathway to yet again convince lymphocytes that it is not a threat. As a result, the efficacy of stand-alone anti-PD-1 therapy in cases of melanoma is estimated to be down to 67% at best in recent reviews. Conversely, it is also true that the scope for evolution in cancer immunotherapy is at least equal to that of tumor adaptability to older anti-T-cell-signal treatments. 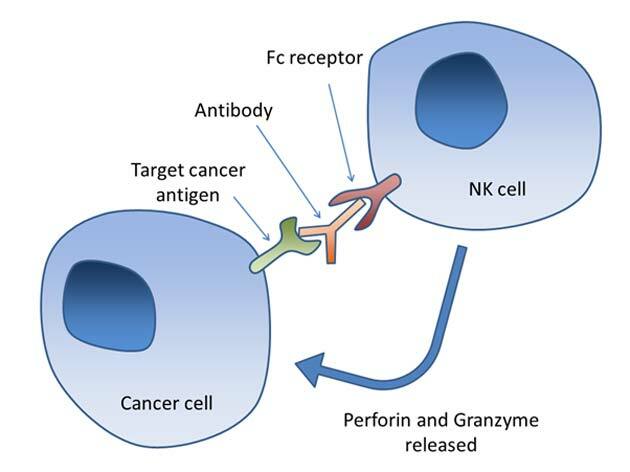 A prominent variation on this form of immunotherapy is chimeric antigen receptor (CAR) T cell therapy. This involves the introduction of CAR-T cells into a patient’s system. These cells, which have been engineered to express custom-made receptors, induce ‘natural’ T-cells to bind to the appropriate antigen necessary to activate them against a given cancer cell. 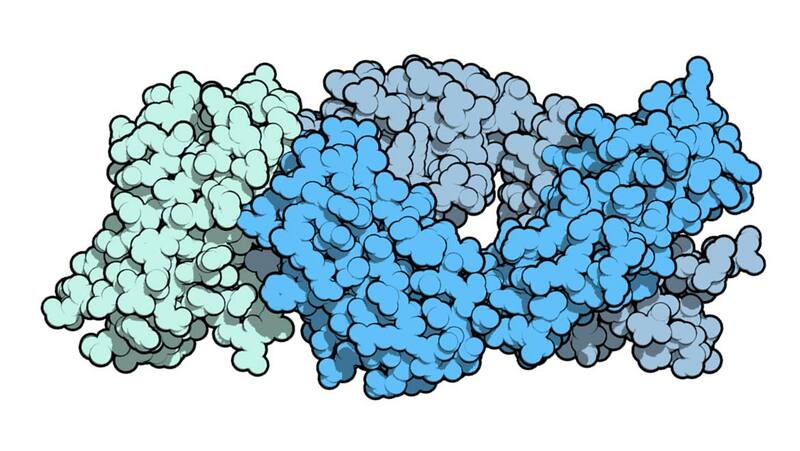 This strategy allows for complete eradication in some childhood blood cancers such as leukemias. However, CAR-T therapy has yet to be applied successfully to more solid tumors of other types. In addition, cancer immunotherapy, in general, has also been associated with the critical drawback of being expensive and thus, out of the reach of some needy patients. Some courses of this treatment can cost as much as 1 million US dollars at present. Nevertheless, the relative efficacy and vindication of immunotherapy as an oncological practice has recently won its main proponents, Allison and Honju, the Nobel Prize for Physiology or Medicine in 2018. The two researchers can add this significant honor for their achievements to many others that they have been accumulating separately or together for their work on the immunological theory of cancer treatment since 2005. These include the William B. Coley Award, the Novartis Prize for Clinical Immunology, the Tang Prize for Pharmaceutical Science and the Lasker‐DeBakey Clinical Medical Research Award. It is to be hoped that these achievements are followed by continued improvements in the efficacy, success, and most importantly, the availability of the next-generation of immune-boosting cancer treatments.